The Final Performance - Monday August 8, 2011 7:30 p.m.
Monday, August 8, 2011 at 7:30 p.m., African-American Collective Theater (ACT) presented the final reader's theater performance of its 2011 BLGBT Theater Showcase production, "Damage Control" a new full-length play by ACT artistic director, Alan Sharpe. 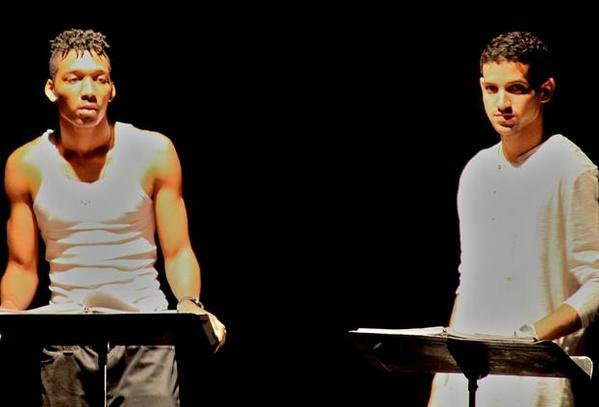 A packed house joined us at the Warehouse Theater for this last opportunity to see the controversial drama that first intrigued Washington, DC audiences over the 2011 Memorial Day/DC Black Pride Weekend. ​Our heartfelt thanks to all who supported our work with "Damage Control" over the spring and summer of 2011.